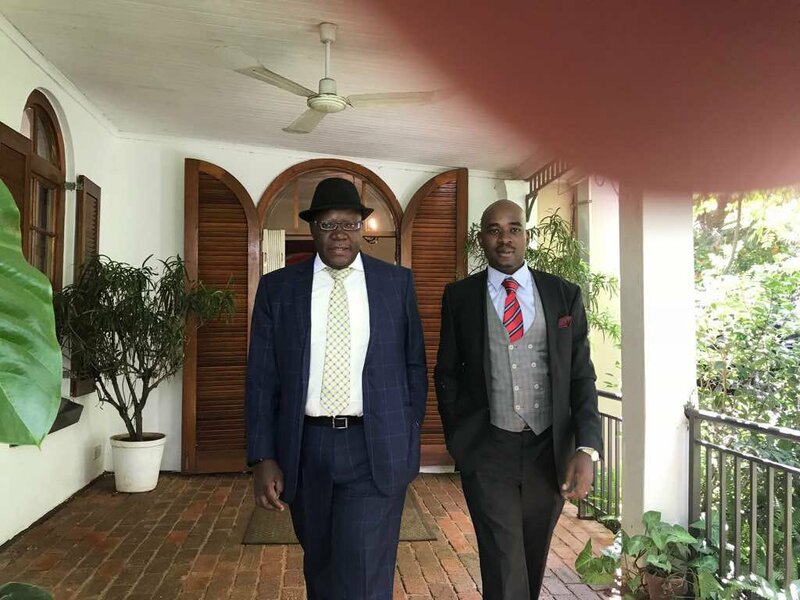 OPPOSITION People’s Democratic Party leader and MDC Alliance principal Tendai Biti has warned that Zimbabweans should brace for violent polls this year as the military will be desperate to remain in control of the levers of power. Biti also warned that the November 15 military intervention which toppled former President Robert Mugabe would be reproduced in future as had been the case in many African countries where soldiers staged coups. The former Finance minister made the claims while speaking at a panel discussion on elections and transparency at Sapes Trust in Harare on Thursday evening. Biti said he was certain the military-backed Zanu PF government would use violence to retain State power, urging the international community to ratchet up pressure on the military to make a declaration that it would ensure the security of the vote in this year’s elections. He said the forthcoming elections were a “do-or-die” for the military who had hoped to win votes through transforming the economy the same way Rwandan President Paul Kagame was doing, and failure on the economic front would force the military to use violence to protect its power. “The issue of violence is going to be a factor in this election. The military did not plan this coup in order to lose power in July or August 2018,” Biti said. “They have been marrying designer wives; they have been sending themselves to school. There are now more per capita PhDs in the army than anywhere else. But acting Information minister and Zanu PF spokesperson Simon Khaya Moyo dismissed Biti’s claims, saying elections were for political parties, and not the military. “What blood is he talking about? The President is on record saying he wants free and fair elections. I don’t know the military as a party. This is an election for political parties, not the military, and it is perplexing why he is thinking in that manner,” Khaya Moyo told NewsDay yesterday. Biti, however, also said Mnangagwa’s campaign was now anchored on the economy, invading the territory long held by the opposition making this year’s elections a battle of ideas which the opposition should win at all cost or risk 20 years under military rule. “They [Zanu PF] are trying to postpone elections so that they have time to fix the economy as is the situation in Rwanda. I worked with them when I was in government and I can tell you, there is no Kagame in that party,” he said. Biti, whose party is a member of the MDC Alliance, an electoral pact of seven political parties, said the military should be confronted over its involvement in civilian matters to avoid a repeat of coups in future. He said the forthcoming elections would be merely academic if the November 2017 issue was not resolved. “This means calling for introspection on what happened and why it happened and working on ways to make sure it won’t happen again,” Biti said. The PDP leader said the military should first undo a statement by the late former Commander of the Zimbabwe Defence Forces General Vitalis Zvinavashe that the military would not accept victory by certain individuals and stop viewing threats to Zanu PF as threats to the country.